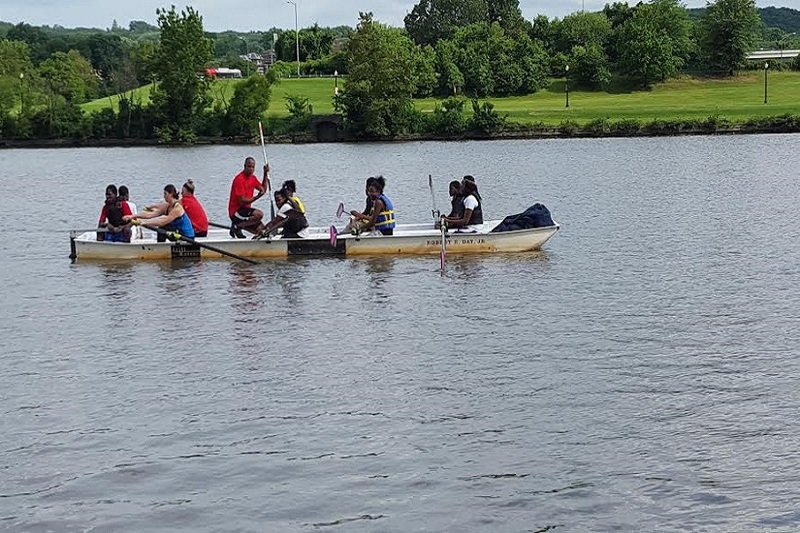 A D.C.-based nonprofit organization is looking to recruit up to four coaches to teach rowing to children along the Anacostia River. Serve Your City is seeking volunteers to teach and mentor at-risk 11-to-15-year-old boys and girls on Mondays and Wednesdays from 4 to 6 p.m. at the Anacostia Community Boathouse (1900 M St. SE). No rowing experience is needed with all training and equipment provided, courtesy of the DC Strokes Rowing Club. Patrick Johnson, a U.S. Rowing Team coach, will lead classes and instruction. Maurice Cook, founder of Serve Your City, said he hopes the program can serve as a stepping stone for disadvantaged youth to receive college rowing scholarships in the future. “I’m just so excited to have the opportunity to do something to help these kids get outside and enjoy the resources that are right around them,” Cook said. Serve Your City also runs a range of other sporting activities, including aquatics and tennis. They accept volunteers and participants of all abilities and experiences. Prospective coaches can email Cook with their names, ages and coaching experience. Alternatively, they can call 202-341-1732 or visit the organization’s website for more details.